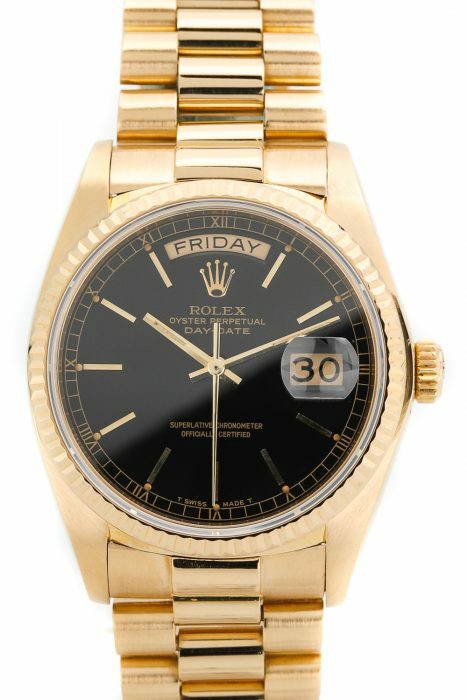 There are a total of 1014 of these watches, #1 was offered to President Nixon and #2 was offered to Vice President Spiro Agnew. Both declined the watch though, for compliance reasons. 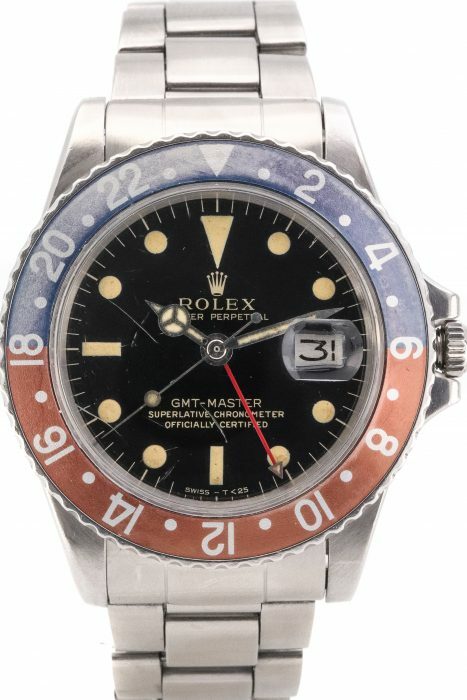 During a banquet on the 25th of November 1969, 19 watches were offered to the NASA astronauts. Later on, other astronauts who couldn’t join the banquet or who did later missions (than 1969) also received their gold piece. This watch has the engraving “to mark man’s conquest of space with time, through time, on time.” A quote that Jim Lovell also gave during a Q&A session at the Speedmaster Event in Houston last May. There seems to be a bit of an uncertainty whether Apollo 13’s Jack Swigert and Fred Haise received one, but I’ve been told that they were offered one later on as well. However, they do not appear in any overviews of the watches given to astronauts. 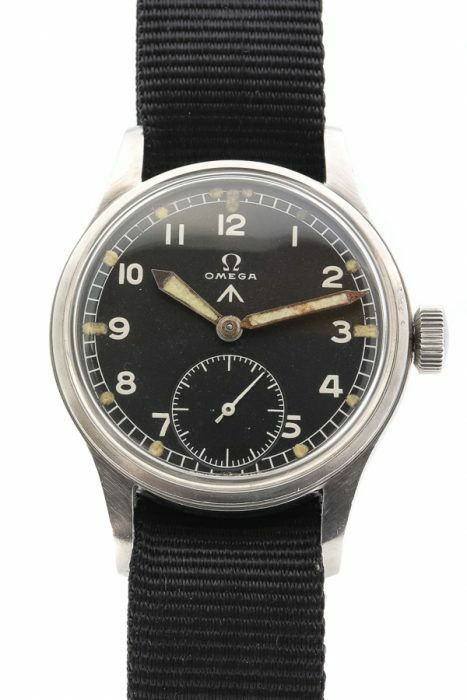 A number of watches (with another type of engraving) went to some Swiss managers of Omega and Lemania at the time. Read the whole article written by our friends of Fratello Watches. A watch that speaks to the imagination. The second World War was at full tilt and throughout a big part of the world, times were tough. It was no time for luxury or jewellery, all European economies transformed from free markets to war economies helping their people through the war. Potatoes were apportioned among the population and many things became scarce. One country was an exception to this situation; Switzerland. Switzerland was under some sort of surveillance, but they were neutral and didn't take part in the war. They continued to do what they are famous for, produce wristwatches. 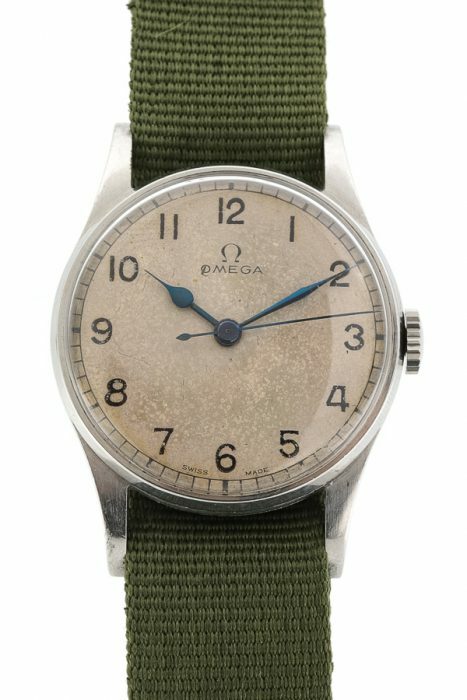 The demand for traditional wristwatches vanished with the start of the second World War, but fortunately for Switzerland, a new customer knocked on the door; the British army. The war had already started and the British army realised that new, more precise and watertight wristwatches could come in handy in such a big war and their local watch producers weren't as good as the Swiss ones. Then the Minister of Defence invited all Swiss watch manufacturers to build them watches with all the same standards. Chronometer precision, easily legible, waterproof, stainless steel casing and approximately 35mm in diameter. 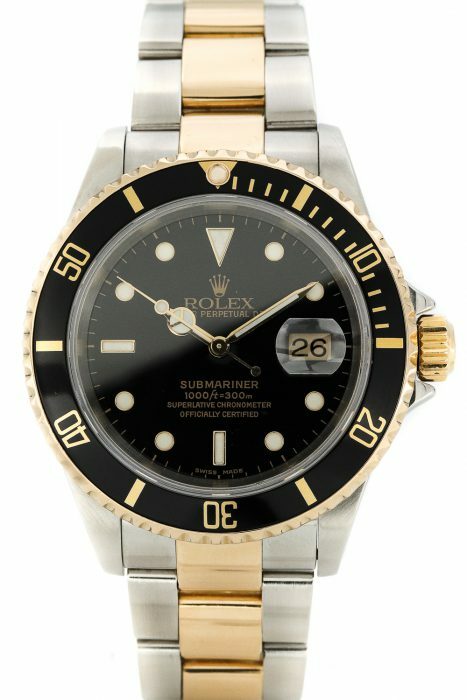 A dozen watch manufacturers got their hands dirty and built these watches, ultimately producing the watches today are known as the 'Dirty Dozen' watches which are now more famous and desirable than ever. 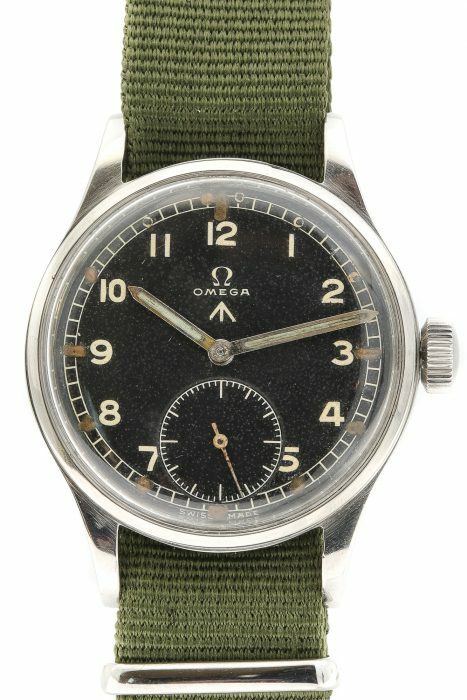 One of the most popular pieces from these twelve dirty watches is this Omega. It has all the characters described in the previous paragraph and still runs like it's 1944. The condition of the case is incredible considering its age and history. Furthermore, the dial is in great shape and really gives you the military feeling with the arrowhead below the Omega logo. 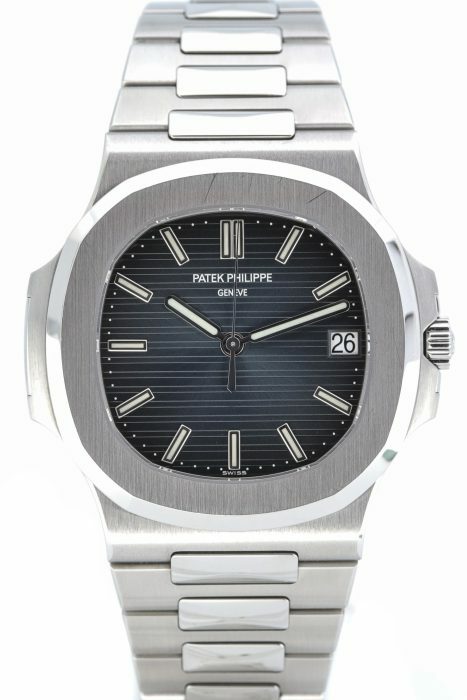 This collector's item is finished with the appropiete case back engraved with a military number and W.W.W. Visit our store for the full story under the delight of a cup of coffee. We're located in the Reestraat, Amsterdam. A real piece of vintage. 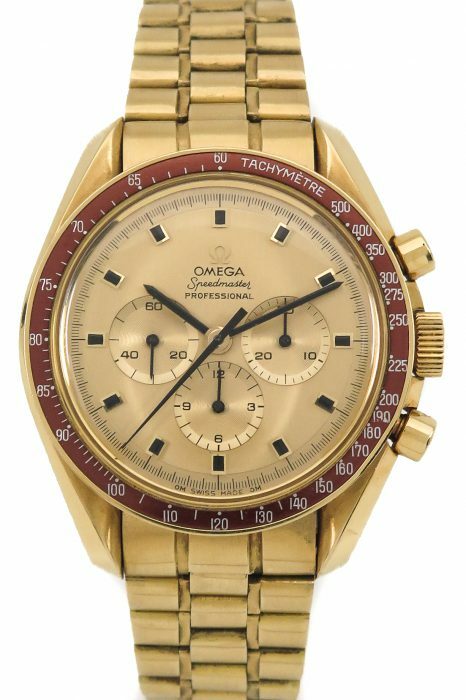 The Omega Speedmaster is one of our favourite watches. 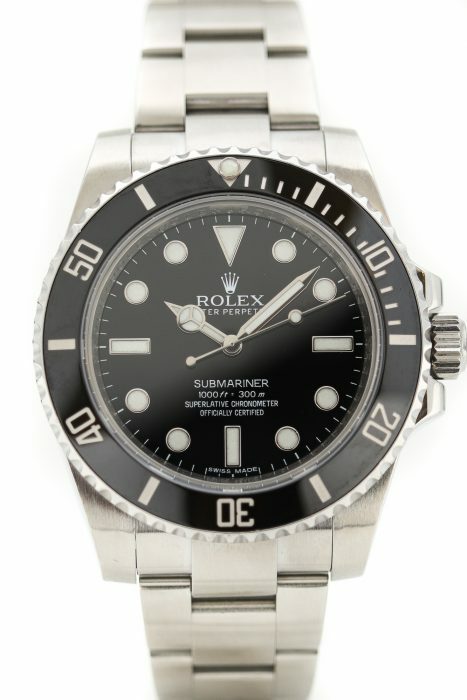 The Amsterdam Watch Company has many pieces in stock and this specific watch is a nice addition to that collection. 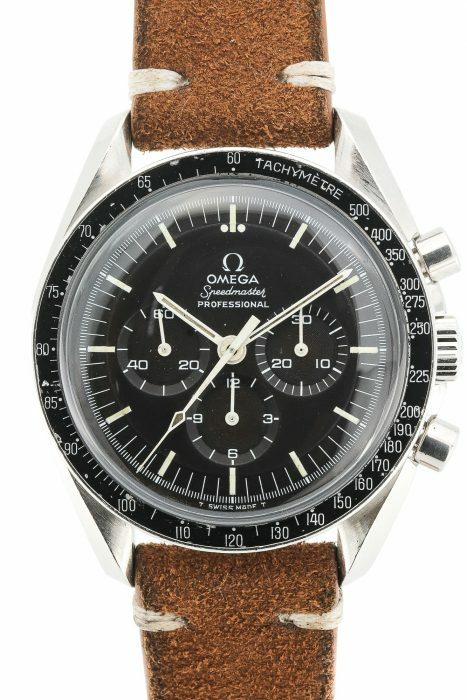 This Speedmaster is from 1967 and is powered by the famous and loved 321 caliber, which was discontinued in 1968. Omega and Lemania created this movement together, this movement is a masterpiece in chronograph history. 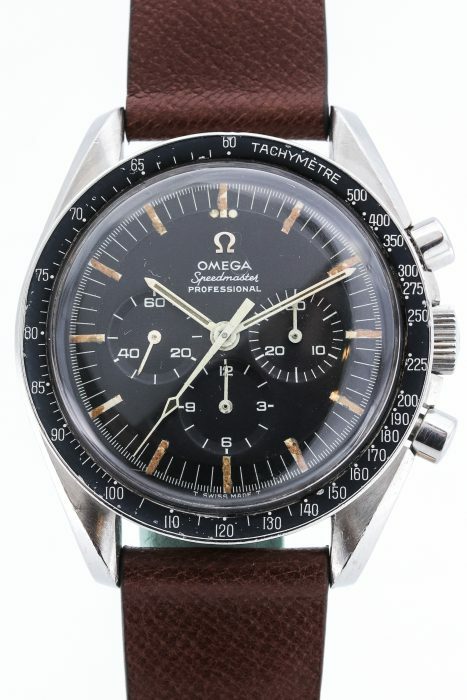 NASA even picked the Speedmaster to be the watch for outer space missions and its precision was one of the key factors to become NASA's moon watch. The reason why this watch is special to us is its looks. The watch is in great condition but at the same time, it looks like it has traveled all over the world. The original dial with applique logo has developed a nice patina. The tritium indexes have gotten a nice brownish tobacco colour, which breathes vintage in every way. The tobacco colour is unique and makes you want to look closer to this watch, it gives the watch a certain tropical character. 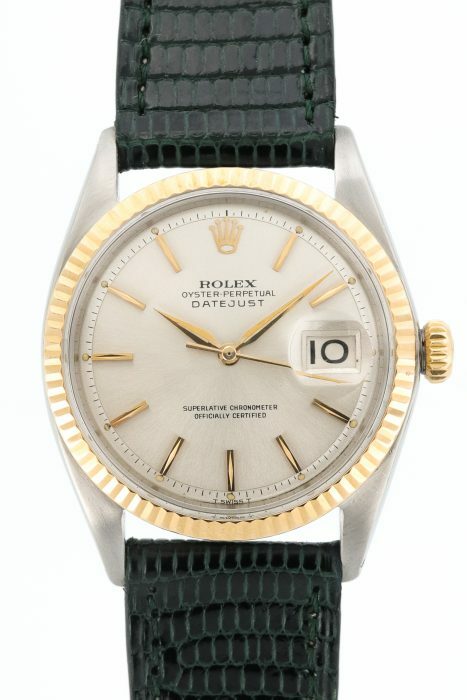 The original dot over 90 (DON) bezel is in great shape and is a collectable part when it comes to Speedmasters. This is the right bezel for the pre-moon Speedmaster and the bezel makes this Speedmaster better than some others. The brown strap colours perfect with the dial but is changeable to your preference. Visit our store in the Reestraat, Amsterdam, and let us enlighten you on the Omega Speedmaster. This is one of many. One of the Dirty Dozen. This watch is for the nostalgics in this world who value the story as much as they like the watch. The second world war was one of the darkest times in the history of mankind. National economies dedicated everything to the war industry because there was no other choice. People were poor and commercial watchmaking was temporarily replaced by military watchmaking. Switzerland was as a neutral country the right place to produce these watches. Britain was at war so the British army had need for military watches as well. 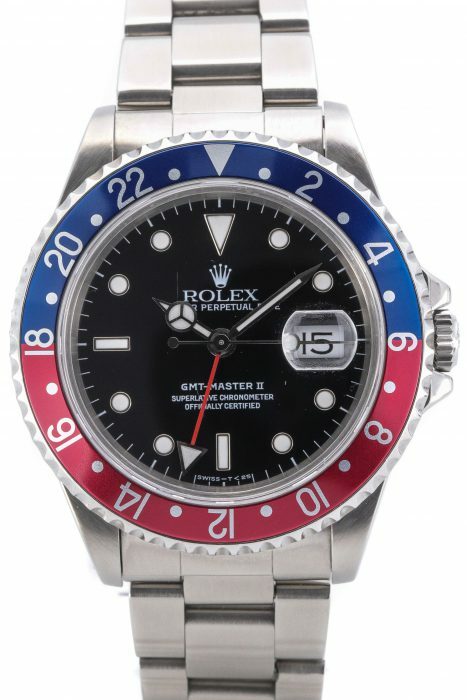 Instead of adjusting an existing model, like the Rolex Milsub of the Royal Navy, the British government invited all Swiss watch brands to build them military watches to the army's standards. It had to be great quality and directly produced by the thousands because the war had already started. What happened was that 12 Swiss brands jointly started producing one type of watch, all destined to the British army. 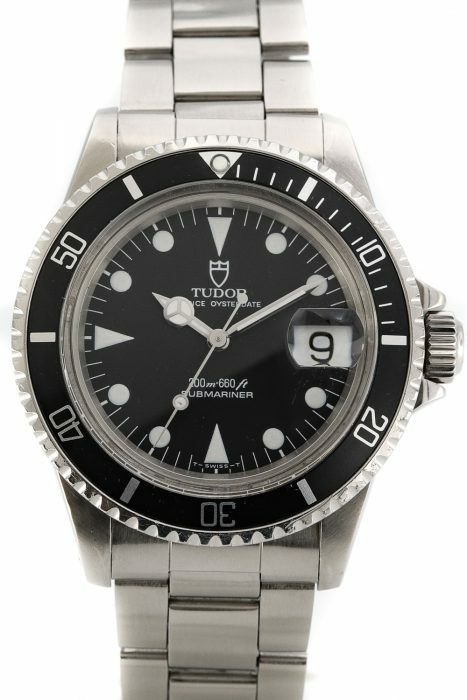 The producing brands were the following; Buren, Cyma, Eterna, Grana, Jaeger Le-Coultre, Lemania, Longines, IWC, Omega, Record, Timor and Vertex, jointly called 'The Dirty Dozen'. The unique thing about these watches was that they were practically the same but just had a different brand name printed on the dial above the arrowhead logo. The case backs were all stamped with a case number, a military number and 'W.W.W.' on the inside. This literally meant Watch, Wrist and Waterproof, so much for fun facts about this watch. The watch case measures 35 mm. which feels exactly right. 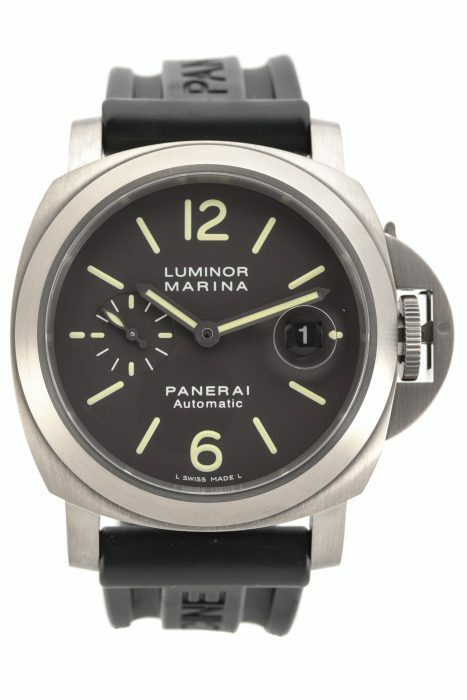 The white printed numerals are well legible on the black dial. The military hands in this watch show some age, but that is part of the package when it comes to the dirty dozen watches. The tritium has gained a nice patina over the last 70 years as well. The overall condition is great and the story is one of the best out there. 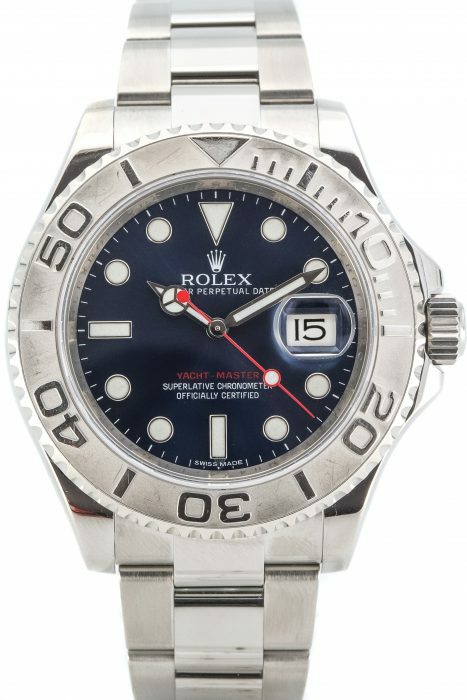 Multiple watch magazines and blogs have dedicated articles to the Dirty Dozen watches, and with the current vintage watch market these watches have gained a lot of popularity. Finding one in this condition is getting more difficult every day. Visit our store in the Reestraat, Amsterdam, to see this piece of history. We are proud to present the mother of all Omega Speedmaster models: The 2915-3. After the introduction of the Speedmaster in 1957, the reference 2915 was born. 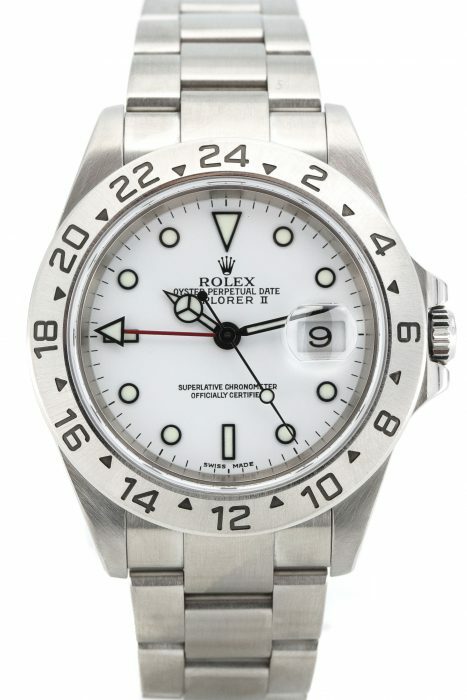 This model has the typical broad arrow hand and a full metal bezel. Inline with the Seamaster 2913 and the flightmaster 2914 models. But the chronograph became a great success and followed up with a second generation, the 2915-2. 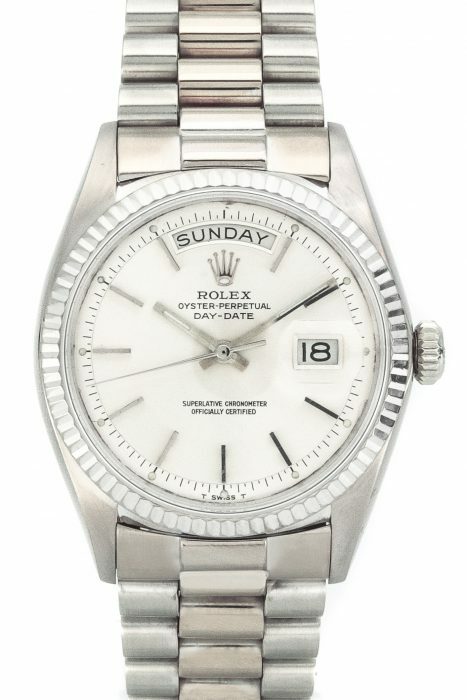 This model had no longer the broad arrow hand bus still the full metal bezel. Shortly after the 2915-3 produced, inclusive the first aluminum inlay bezel. Special about this bezel is that starts with a Base 1000 tachymeter indication. Something unique and only made in 1959 and 1960. The hand changed from Arrow tot Alpha hands. The reference 2915 is only made in 3 batches. 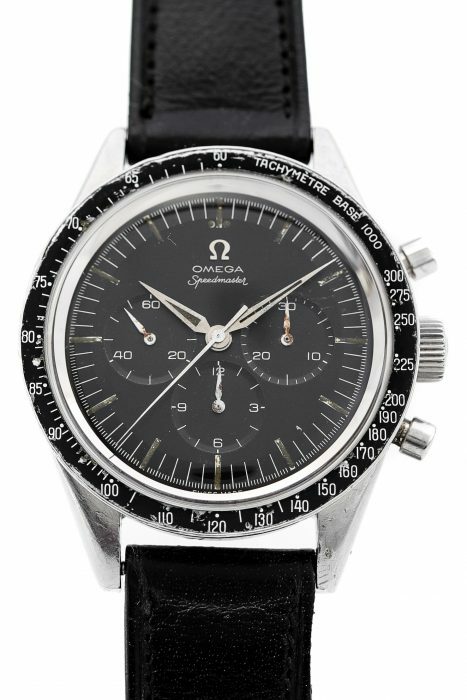 In 1961 the new reference 2989 was introduced and makes the Omega Speedmaster become stronger and stronger. 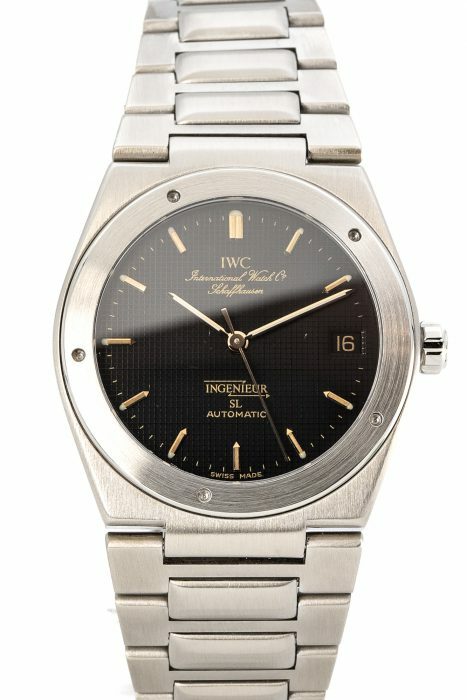 Our watch is sold in 1959 and delivered in Portugal. This is to recognize on the small tax mark spammed in the 5 o'clock lug. This is also the country where we purchased the watch. The market for this early pieces is going to the roof. Especially the 2915 reference are extremely rare and hard to find. SO we are proud to offer you this fine example.